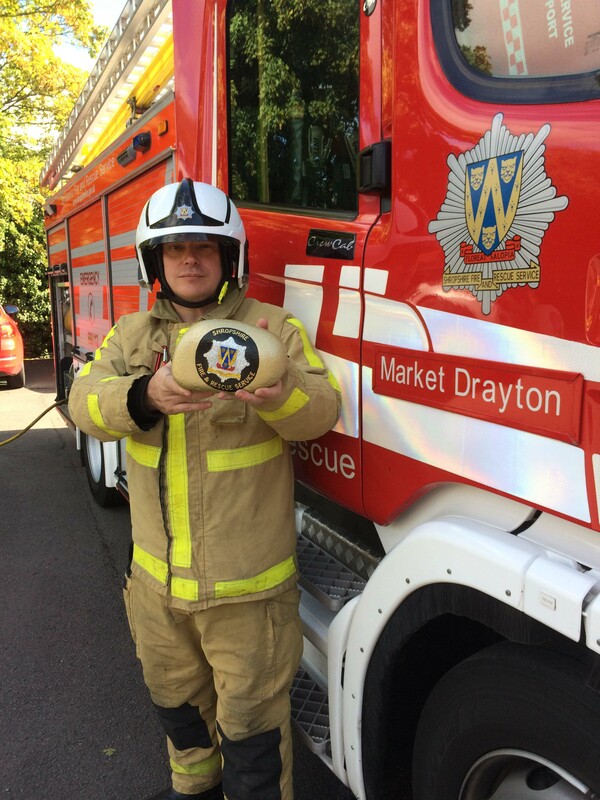 Mark Smith, Watch Manager at Market Drayton Fire Station, inscribed brightly coloured messages such as “Get Out, Stay Out, Call 999” and “Big or Small, Fire Safety is For All.” The Shropshire Fire and Rescue logo was also added to a total of eight rocks which he then hid in local play parks, car parks and at the library. 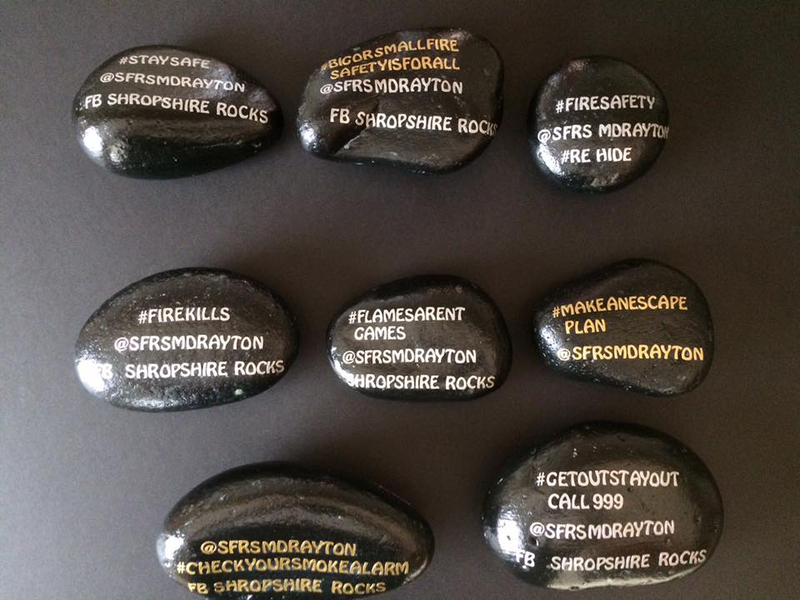 The safety message on a rock campaign was based on a Telford mother’s successful scheme to keep children busy during the school holidays which grew into a huge success with thousands taking part across the county. Mark’s campaign culminated in a special “golden rock” being found by children in the grounds at Moreton Corbett Castle. Children had been following the rock story on the fire and rescue service’s Facebook page which received more than 12,000 hits and likes. Clues to discover the golden rock were posted on the social media page. Sophia Moody (7) and brother Saul (4), from Bromsgrove, struck gold with grandparents Dale and Lin Moody, of Berrisford Close, Market Drayton. “The children were very excited to find the rock. It was a good idea by the firefighter,” said Dale, a retired squadron leader. More messages painted on the rocks included “Flames Aren’t Games” and encourage people to check smoke alarms, make an escape plan for all the family in case of fire, and to stay safe. 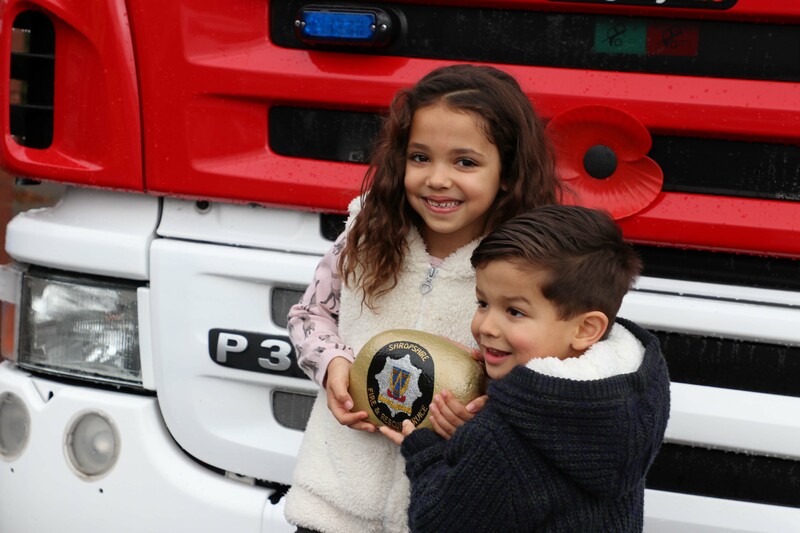 For Sophia and Saul, they have won a family visit to the cinema– and the golden rock has made a good door stop at their grandparents home.